There is little doubt that preaching can be big business, a commodity of sorts, which can be manipulatively packaged in a way that is extremely profitable. And while forms of ‘prosperity gospel’ are both popular, and if honest, speak to the aspirations of many poor people, the question still remains, how does it minister to one’s soul in the midst of actual life with all its hardships? Luke Powery sets out to counter the fluffy death-avoiding pulpit ministry that is unquestionably sweet but yet ultimately superficial. With an insightful and prophetic witness, Powery reminds his readers that “Preaching hope is inadequate without taking death seriously. Not only is death the context for preaching hope, but hope is generated by experiencing death through the Spirit who is the ultimate source of hope.” (10) Given this, he argues persuasively that preaching death, both our daily little deaths and Big Death, are not just for funerals and Christology, but are essential for any word that sets out to offer life-giving hope. The site of Powery’s homiletical inspiration is located primarily in two sources that have been a great means of hope in countless African American churches in the midst of painful suffering and death. The first reservoir for homiletics is the Spirituals. Powery makes the case that the Spirituals in essence are sung sermons that provide hope at the location of death. They offer a model for Spiritual preaching which is sorely needed in our communities. 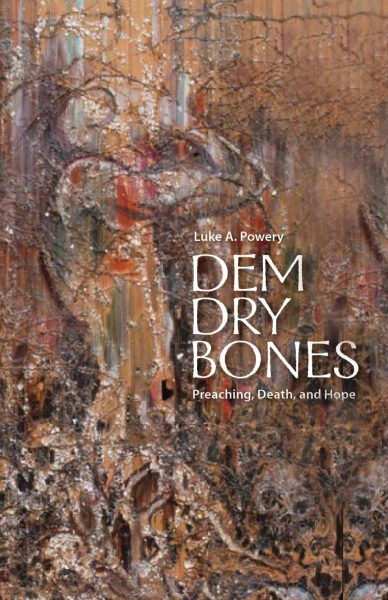 The second location which provides the primary metaphor and model for spiritual preaching death and life for Powery is found in Ezekiel 37’s popular narrative of ‘the Valley of Dry Bones’. With the Spirituals and Ezekiel 37 at hand, we are called to, and reminded of, the need for a preaching ministry that has an intertwining encounter with spirit, death, and hope. If you are seeking to more faithfully preach a word of hope and more honestly engage the full depth of the gospel to people who are dying little deaths everyday and will face Big Death one day, then this book is for you. It is an excellent resource and ought to be on every shelf of those who are given the heavy responsibility of preaching gospel to our broken world.